222 Willis St hostel is the preferred accommodation for New Zealand School of Dance students. 222 Willis is one the newest student accommodation developments in Wellington, New Zealand. The complex comprises of 6 floors with 280 beds. The accommodation is configured into a mix of studios, 2 bedroom and 4 bedroom apartments. Each apartment is comfortably furnished and has its own bathroom. Bedrooms come complete with a bed, chair, desk, wardrobe, shelves, noticeboards and blinds. Wi-Fi is available for purchase in all rooms and power is included in the rental costs. There is a full kitchen in the four bedroom apartments comprising of a over, cook top, fridge/freezer, microwave, sink, bench space and storage space. Studios and two bedroom apartments have a kitchenette comprising of a cook top, fridge, microwave, sink, and storage space. The staff, policies and events at 222 Willis are all aimed at creating a proud and successful community of learners. Residents will enjoy regular activities held in the communal events lounge and BBQ area. There is also a shared Sky TV lounge and group study space to enjoy. The facility provides a secure and managed environment. The building has a number of security cameras and each floor has a senior student, called a Residential Assistant (RA), in residence. In addition, two senior staff also live in residence. Most students live at the hostel for their first year of study, moving into apartments or houses shared with other students in subsequent years. 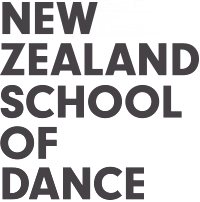 Enter your details below to receive emails from the New Zealand School of Dance including updates on performances, guests, graduates and students.